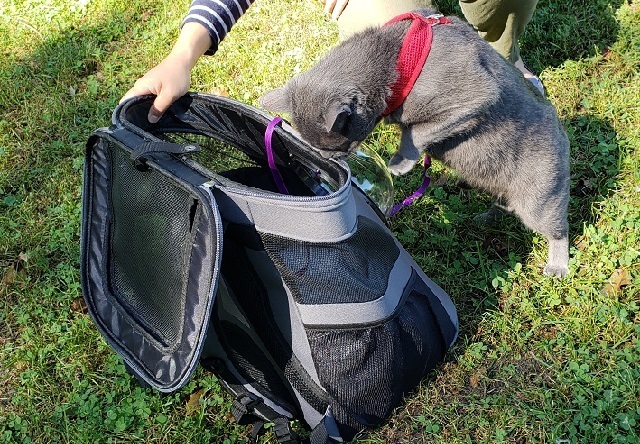 If you've got a relatively large cat and you don't like traditional carriers then the Fat Cat Backpack should be a serious consideration for you and your feline friend. Even if your cat isn't large, it is still an excellent option. 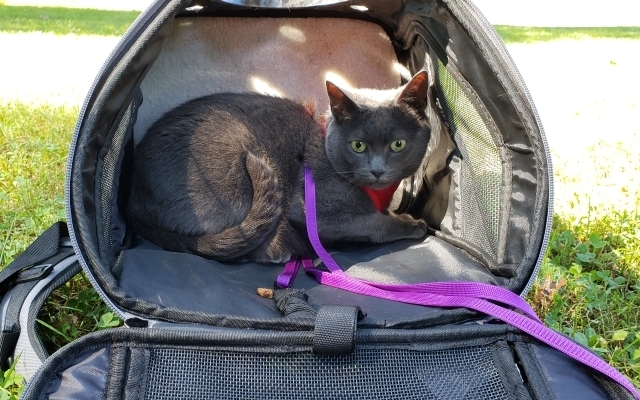 Anyone who reads StuffCatsWant consistently knows that I've been working Lexi and Beast up to being Adventure Cats, but they are certainly not as adventurous as I would like. Not yet at least. But that hasn't stopped me from continuing to take them on lots of expeditions and slowly acclimating them to the outdoors! So check out the table of contents below or watch the Video Review. What Have Our Cats Done With It? What's It Look Like In Action? Lexi and Beast are both very interested in the outdoors, but they're also massive scaredy cats. Usually a loud noise or just an unfamiliar sound will cause them to run right off of our patio and back into the house. Because of this they usually only go outside when fully harnessed and leashed, but it can be a hassle to take them far like this. That is, unless you have a killer bubble backpack for them to take a ride in! This is a quick set of pictures we gook of Beast before we took her on the above mentioned 15 mile bike ride. 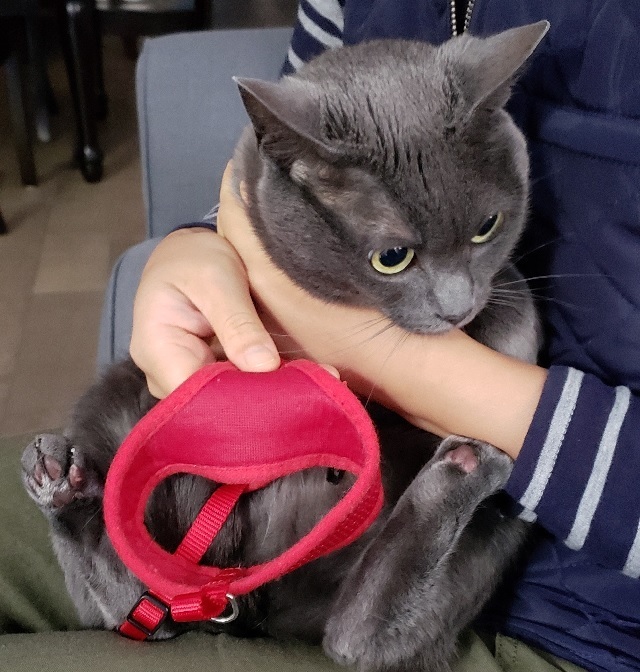 First and foremost we had to get her leashed and harnessed up Check out those little toe beans! But she did come out for a few minutes just to explore, as soon as we flipped the Fat Cat Backpack back up vertically she decided to climb it to find her way back in. Apparently she finds it to be a pretty cool safe spot! Then once we popped off our bikes we had to walk a bit so I snapped a few extra shots of the pack in use so you get an idea of what it looks like from all angles. I've also got a comprehensive video review for those of you who like to see things in action a little bit more. You can check it out here. If you do find the video helpful please do subscribe so I can keep making more of them! Rated by the manufacturer to hold a cat just under 20 pounds comfortably. Tons of space inside for your cat to sit or lay down and even spin around. A boat load of ventilation: top vents, 2 side vents, 3 front vents and vents in the bubble. Built in safety connector for your cat's harness or leash to hook on to. Padded adjustable shoulder straps and a chest strap for a more stable ride. A removable lambswool interior base, comfy, but super easy to wash.
Rubber feet to keep it from sliding on wood or tile floors. 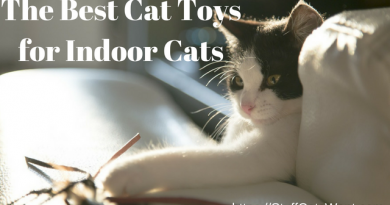 There's only one top entry point available for you to get your cat inside. If your cats don't like being 'put inside' a carrier then I've found simply laying the bag down and placing treats inside convinces mine to walk in on their own. But if your cat isn't treat motivated there aren't side doors. Switching out the vent for the plastic bubble can be a bit of a hassle (true of every model with a bubble I've used to date). I do have a short YouTube video on how I did this for other backpacks. The process is the same so feel free to check that out. If you want the specific video the manufacturer also has one here. The zippers: The zippers have so far been really solid. I've had some experiences with other bags where the zippers simply don't work or they slide out of the tracks and I have to mess with them to get them back into place. I haven't run into that even once with this bag. Window Placement: The whole point of a bubble backpack is to ensure your cat can see out of the bag. Many other bags seem to place the bubble way too high in the bag and the cat has to be sitting all the way up to look out. This version is placed in a better spot in my opinion, Lexi and Beast both seem to spend more time looking out than they do in other bags. Space Inside: As mentioned, the claim to fame for this bag is the amount of space inside. Compared to other bags it does provide additional space for your cat to move around. Both my cats can easily turn around and find a comfy way to lay or sit in it without any issue. 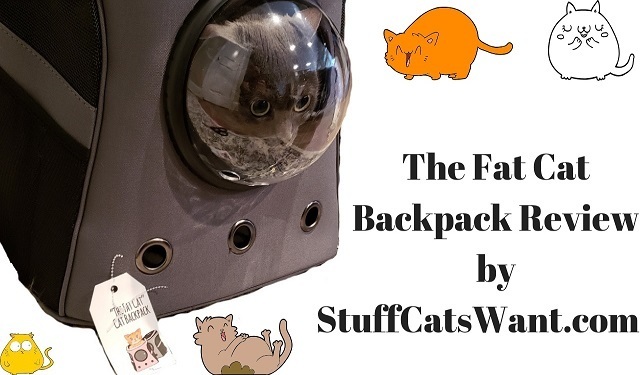 All in all you've got an excellent Cat Bubble Backpack at hand with the Fat Cat Backpack. It's is comfortable for the humans. It is comfortable for the felines. 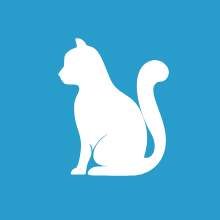 It gives your cats a view and it makes them a topic of conversation too! I've had lots of people stop and ask if there's a cat inside. And last but not least, it is certainly a heck of a step up on any single shoulder strap carrier that you might have around. It won't dig into your shoulders and you don't have to try and hold it with one hand while you lean over to counter balance the weight either. 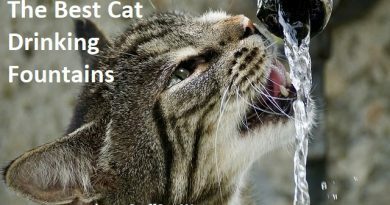 ​StuffCatsWant.com is a participant in the Amazon Services LLC Associates Program, an affiliate advertising program designed to provide a means for sites to earn advertising fees by advertising and linking to Amazon.com. Wowweee Craig, at first glance I thought that cat was part of the bag design! 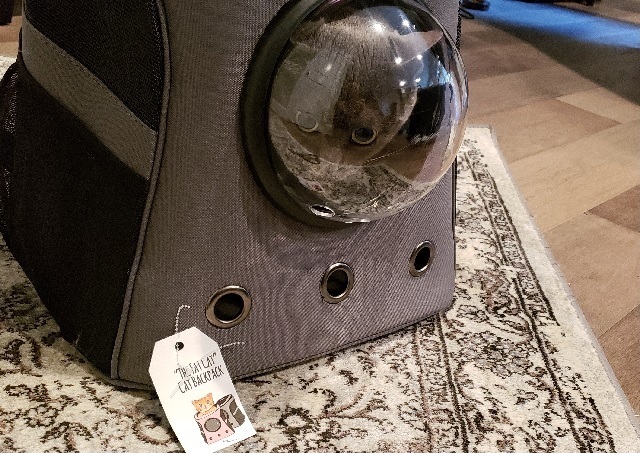 This looks super adorable, I travel with my cats often but using the huge voyager feels so tedious – The bag on the other hand, looks really nice! It somehow looks a bit small though, won’t the cat feel a bit claustrophobic in it? My cats are 8 and 12 pounds and do perfectly fine in the bag. I don’t think you’ll run into any problems unless you have a very large cat. this is cool. It looks like a little spaceship for my cat to travel with me. I feel the lying down position is best because my cat can rest in it. 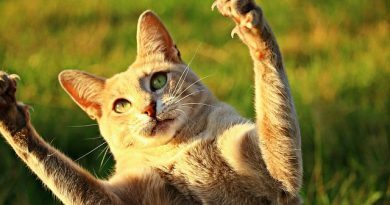 Sit up position can make my cat not in peace. Do you have green color bag? My cat loves anything in green. That’s the plan! It is basically a space capsule backpack! I don’t think you’d have any problems with the bag sitting upward. Both of my cats easily fit inside it laying down, it has plenty of room! If you’re going to have your cat in it for an extended period of time at the vet or something then you can certainly lay it down. You can take a look at my Best Cat Backpacks post for green colored bags. I can see that you really enjoy your cats. My kids love our only cat and they even thought of bringing it out. I think this fat cat backpack will do the trick. I hope the cat won’t poop or wet inside. Is the backpack heavy for a 10-year old child to carry? I don’t think you’ll run into any issues with your cat using the carrier as a litter box. The only way I would expect that is if your cat goes to the bathroom in other carriers.